We can't afford the 6% sales commission and we wanted an proven and inexpensive alternative. 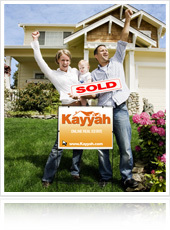 We love the Flat Fee Consumer MLS service from Kayyah.com. We hired them to shoot our condo in Santa Fe and Nathan did a professional job. The HD virtual tours were truly breathtaking and the Kayyah yard sign looks professional in our front yard, too. We're confident our condo will sell quickly. Sell It Yourself and Save $22,000 - $30,000 or More. Let's assume your house is valued at $500,000. Let's also assume you list with a real estate agent. They take 6% of your home's value when your house sells. If you owe the bank $491,000... your full service real estate agent is going to need a check for $21,000 more when they bring the buyer and close on your house. You can offer Buyer Incentives. REALTORs can't. 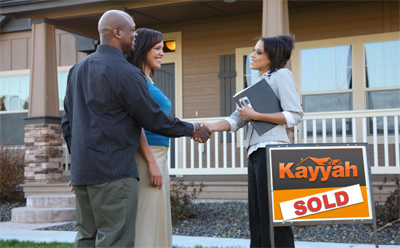 Real Estate agents can't create an incentive for buyers to buy your home. Why? It violates a law called RESPA - The (Real Estate Settlement Procedures Act). Which means REALTORs cannot put a sign rider on your real estate yard sign that say things like, " Buy This Home and Get a Year's Worth of Gas... FREE" or "Buy my house and get FREE Pizza and Beer for a year." These are real incentives that you can offer as a home buyer. But a real estate agent can't even think of it. Do the math. 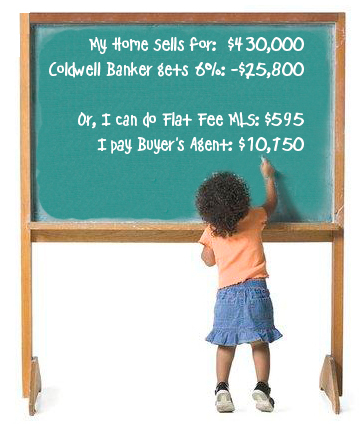 If you want to sell your home and save $10,000, $30,000 or more -- then choosing option #1 or #2 above will help. Getting your home beautifully photographed and entered into the Flat Fee MLS system is included on any package. Also included is the professional yard sign. Your home will be listed for six months, syndication to Google is included. Instead of adding a box of paper flyers to your yard sign, we offer the electronic version instead: Kayyah SMS. It lets people get your home's information including photos sent directly to their Smart Phone or iPad. Designed for the motivated For Sale by Owner (FSBO) this package includes everything in Package A, PLUS: The VPiX Sign Rider with a QR Code linked to a one page real estate website featuring your home. Complete with virtual tours, photos and basic MLS information about the property. The one page website and QR Code is normally an extra $195, but is now included for no extra charge. Expires 1 August 2012. Get the VPiX® tour and the Kayyah yard sign when you order the gold package. Scan the QR target and ta-daaaa! You get to see the inside of your home with an iPhone. Or compatible smartphone or tablet. **NOTE: Listing on Realtor.com is done through trusted, local REALTORS and requires listing through a local real estate brokerage. Some restrictions and additional fees may apply. Contact your authorized Kayyah dealer for details.